I got my Studio Calico March Kit a few days ago. Had a ton of funs laying everything out. I've been holding onto these pictures for this kit. I really like the contrast between the green in the kit and the pink on Zoe's jammies. I even embossed on those chipboard stars. Thankfully my husband has every tool on the planet and happened to have a heat gun that worked really well. 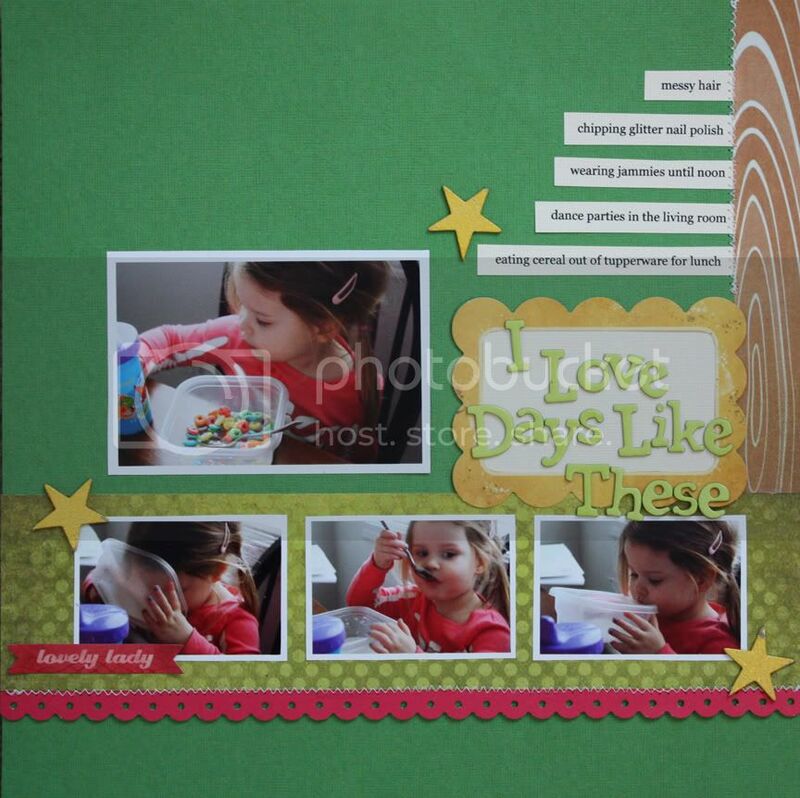 I'm loving embossing even though it can get kinda messy, it just adds a subtle texture. Unfortunately, I haven't had a ton of time to scrap lately so this is the first layout I've done in about a week. We're nearing the end of the semester so the days are pretty busy. I think Ryan might have a permanent seat in the electronics lab, he spends so much time there. Your girl is a cutie! beautiful layout! Love the pictures!! So cute! Give that doll of yours a kiss for me! Love this, Holly! I definitely know about the late hours--stinkers!